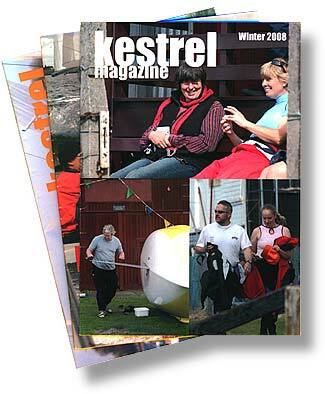 Membership is open to any owner of a Kestrel, at a cost of £25 per annum. Membership entitles you to the Kestrel Owners’ Handbook, copies of the magazine three times a year, a list of open events, entry to the Nationals (for an additional fee! ), discounted boat insurance with Noble Marine Insurance and last, but not least, access to a very friendly bunch of fellow Kestrel Owners, more than willing to share their anecdotes, experiences and disasters with you! A tuning guide is available to all members at no extra cost. Associate membership is available at £10 per annum, but must be supported by 3 full members who must state the grounds on which associate membership is to be granted. The normal grounds for associate membership will be distinguished previous ownership, membership or regular crewing. Associate members are not eligible to vote on matters affecting the rules and constitution of the Association. Concessionary membership is also available for £10 per annum. Lucky owners of new Kestrel 2000s, purchased direct from the builder, Hartley Boats, are eligible for free membership for their first year. For international member who wish to pay in a foriegn currency we now offer the ability to pay by Paypal. Please email us at secretary@kestrel.org.uk if you wish to pay by Paypal and we will send you a link through Paypal to enable you to pay. The magazine is published 3 times per annum. It is edited by Adan Lomas. It is free to members.